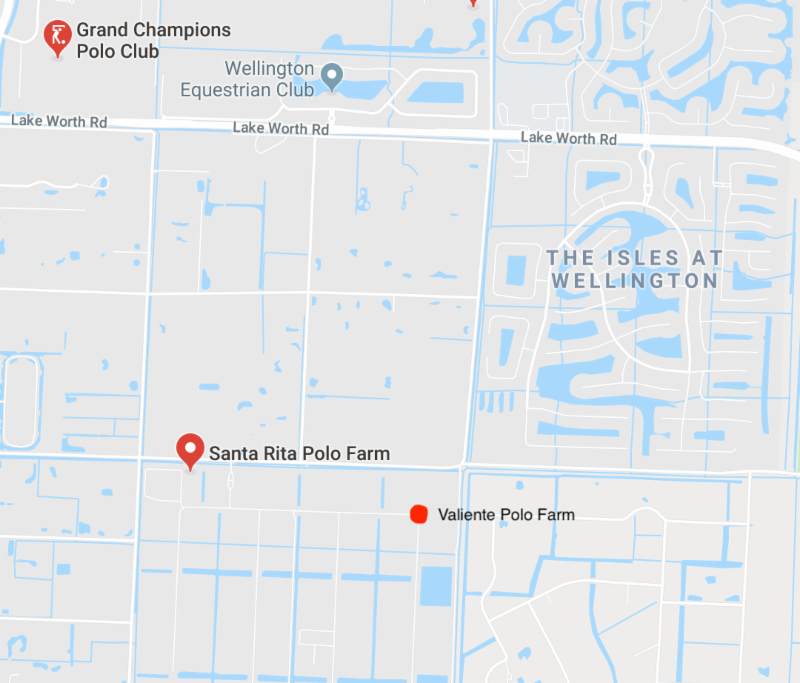 WELLINGTON, Fl., March 8, 2019---Audi came up big against Valiente and Colorado held off Flexjet to highlight Day Two action of the World Polo League's Palm Beach Open. In the opening defensive battle on Thursday, Colorado (Rob Jornayvaz, 2/Kian Hall, 3, Juan Martin Zubia, 7, Diego Cavanagh, 9, Jero del Carril, 7) held off Flexjet (Melissa Ganzi, 0, Alfredo Bigatti, 8, Alejandro Novillo Astrada, 8, Pablo Spinacci, 6), 8-6, at Grand Champions Polo Club. Audi (Marc Ganzi, 2, Nic Roldan, 8, Pablo MacDonough, 10, Kris Kampsen, 6) found the winning formula for its first World Polo League win, 11-8, over Valiente (Bob Jornayvaz, 2, Agustin Nero, 6, Alejandro Taranco, 8, Pelon Stirling, 10) at Valiente Polo Farm. 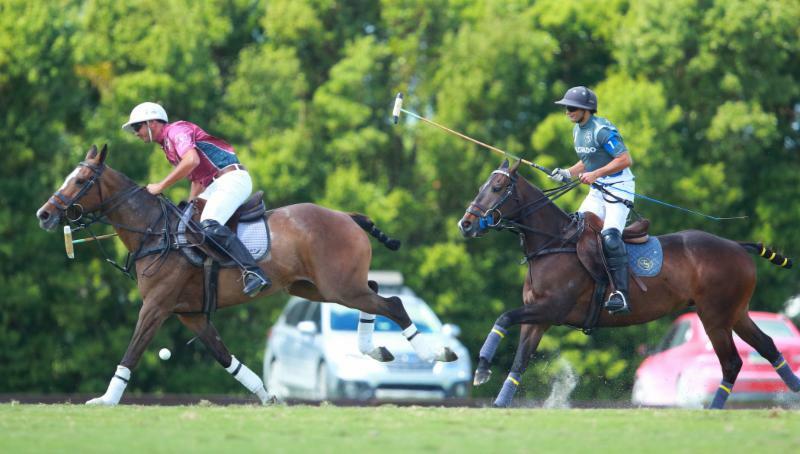 Alejandro Taranco of Valiente attempts to hook Nic Roldan of Audi. "We didn't beat a good team, we beat Valiente," Kampsen said. 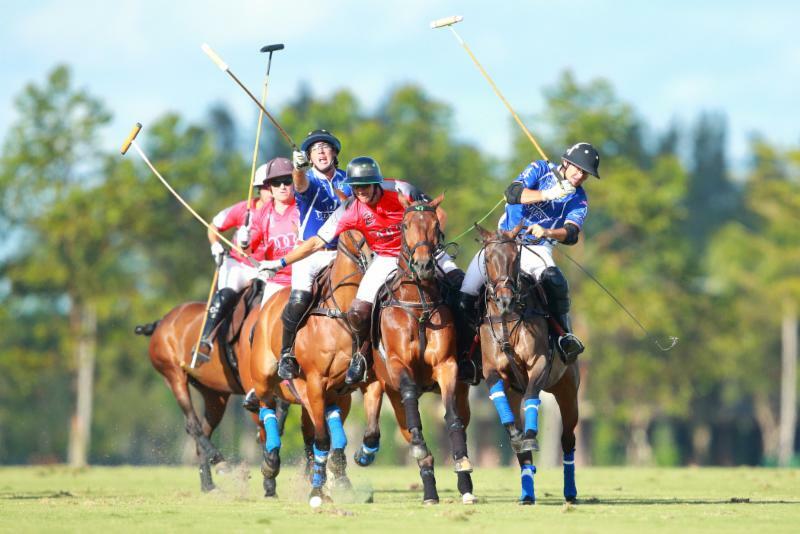 "They are the best organization in polo." 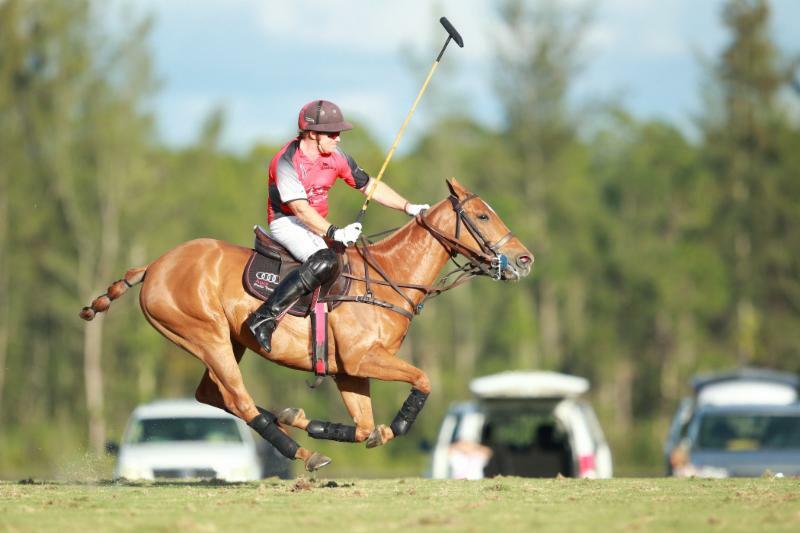 Determined to win its first game of the season, Audi took command from the opening chukker jumping out to a 4-1 lead. "A bounce here and there and we went to goal, these guys were amazing," Kampsen said. 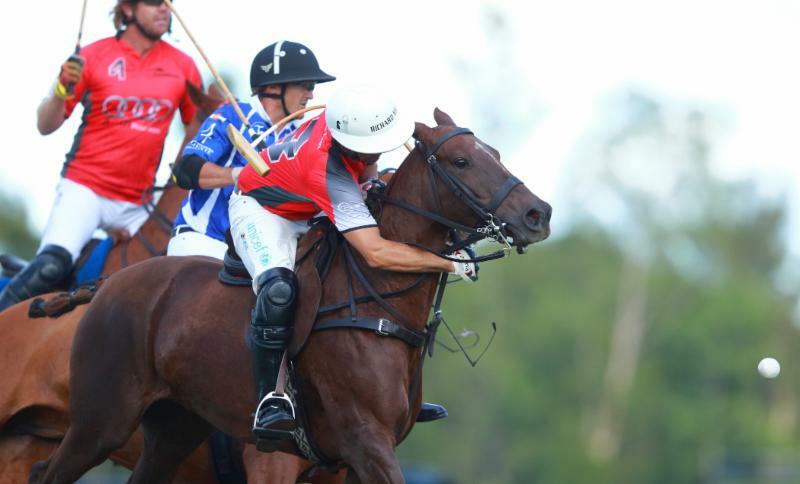 Audi looked like a different team shutting out Valiente in the third and fourth chukkers. Valiente came within one goal in the second chukker and two goals in the second, fifth and sixth chukkers but Audi never relented. 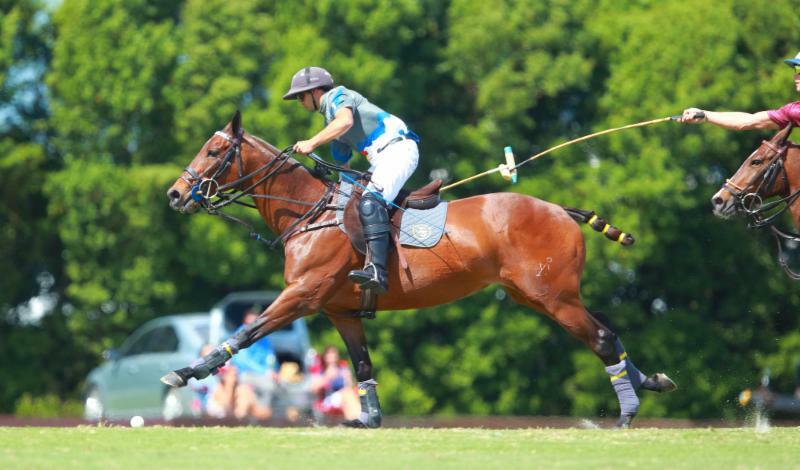 Kris Kampsen of Audi reaches out of the saddle to hook Agustin Nero of Valiente. "As long as we kept our composure and had patience and stuck to our system and didn't give up easy goals, we knew we were going to win," Roldan said. "We are very happy," Roldan said. "We were just trying to find our positions. We just started the league off slow. Now we found our positions, our system and we are not changing. We still have some things we need to tweak but at the end of the day we are happy with the result. "When they came within one and two, we knew we had the system going and the only thing that was going to beat us was ourselves fouling," Roldan said. "If we get disorganized we lose our momentum." Alejandro Taranco of Valiente in a horse race with Pablo MacDonough of Audi. Audi led 5-3 at the half and pulled away 8-3 after four chukkers. Valiente tried clawing its way back to outscore Audi, 5-3, in the fifth and sixth chukkers but could not make up the deficit. 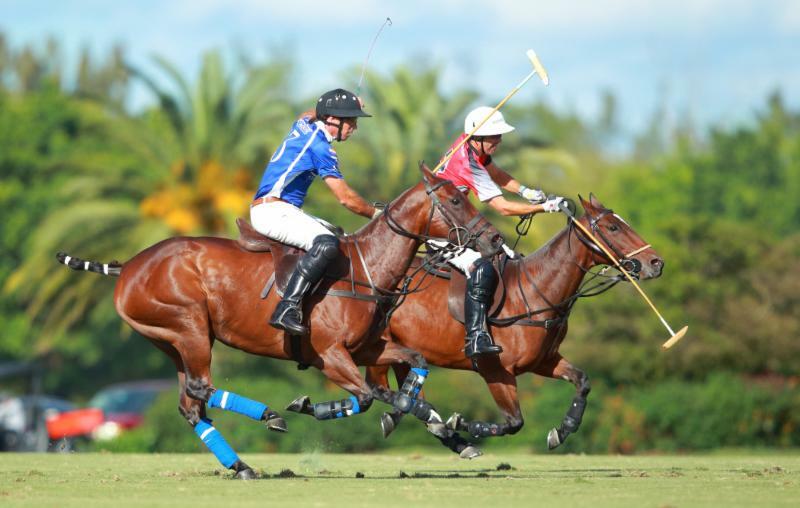 Stirling scored three of his five goals in the last two chukkers. "Nic and Pablo are both captains," Kampsen said. "They said 'come on, we're going in, no more fouls, let's get the game back together.' Marc came and said, 'okay boys, let's do it, let's go back to how we were playing.' We regained our composure and sure enough we won." Playing like a well-oiled machine for the first time this season, Audi played four-man polo controlling the rhythm and momentum of the game with a solid rotation. It didn't hurt that Ganzi, Roldan and Kampsen have been playing together for years. At 10 goals, MacDonough provided the leadership and firepower. 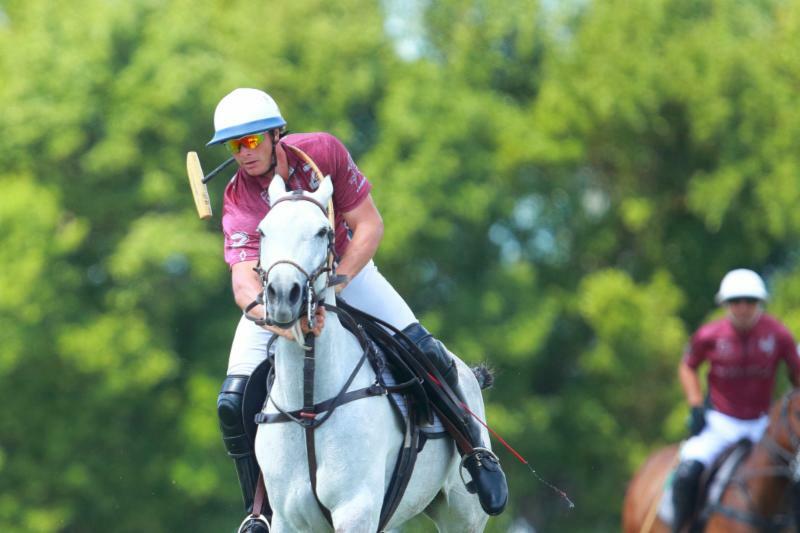 Marc Ganzi of Audi and his horse off all fours racing downfield. "We worked for this," Kampsen said. "The three of us have played years together and against each other. I feel like it was very easy for us to get together. I've known Pablo since I was 12 years old but we never played together. It's pretty amazing to be able to be on this team with these guys at this level of polo. The field was amazing." Kampsen had a team-high four goals for Audi. MacDonough and Roldan each had three goals and Ganzi added one goal. "I think today we played well, we had a good day, all of us," MacDonough said. "We changed positions compared to the previous tournament. Kris played back today. Marc had a great game, he was every where going forward and defending. Nic and I were doing whatever we could in the middle. I am very glad. Besides the winning, the fact that we had a good game and played as a team makes me quite happy. 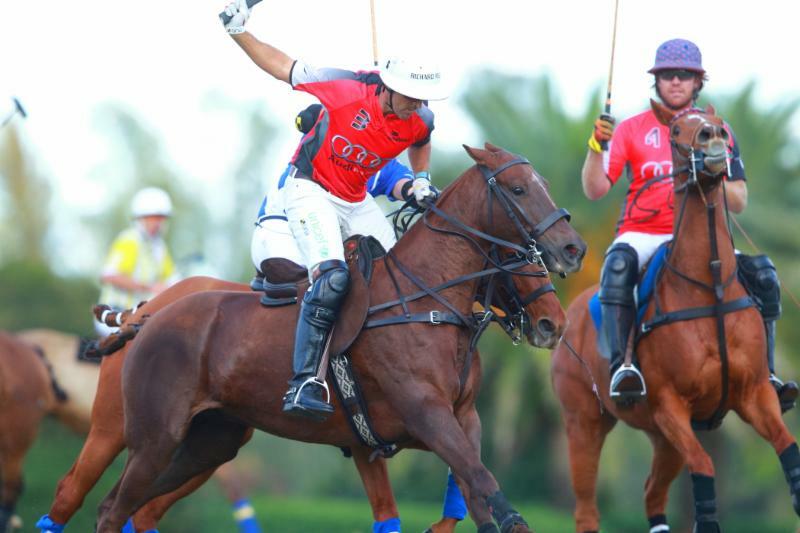 Nic Roldan of Audi hooks Pelon Stirling of Valiente. 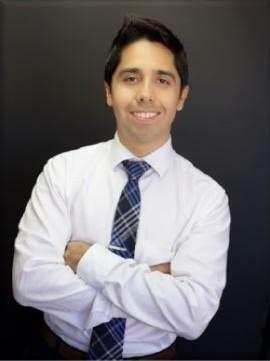 "We were a new team and we changed positions and that made a huge difference," MacDonough said. "We have to improve the mistakes we made today but I think the team is going to stay like this in these positions." For Valiente, Stirling had a game-high five goals. Taranco scored two goals and Nero had one goal. Ganzi, playing above his 2-goal rating, turned in his finest performance of the season. "It's not so much that I am happy about winning, I am really happy that the team functioned the way we thought it could function," Ganzi said. "I think I am more satisfied with that, with the rotation and the defense. I think today we really trusted each other with the marking. We were always handing players off, all four of us on a different guy at any time, all four of his hitting passes to each other, good distribution and good spacing. I think the horses went really well for the first time this season for everyone on the whole team. Pablo MacDonough of Audi goes for the big hit with Kris Kampsen backing him up. "That's a really good team," Ganzi said. "It's always really tough to play against Jejo (Taranco), he is so good in the back. We were just a little quicker today, a little sharper. Quicker on the turns, sharper on the passes, really good distribution in the back. It's good we can build from here. I think that's the key." 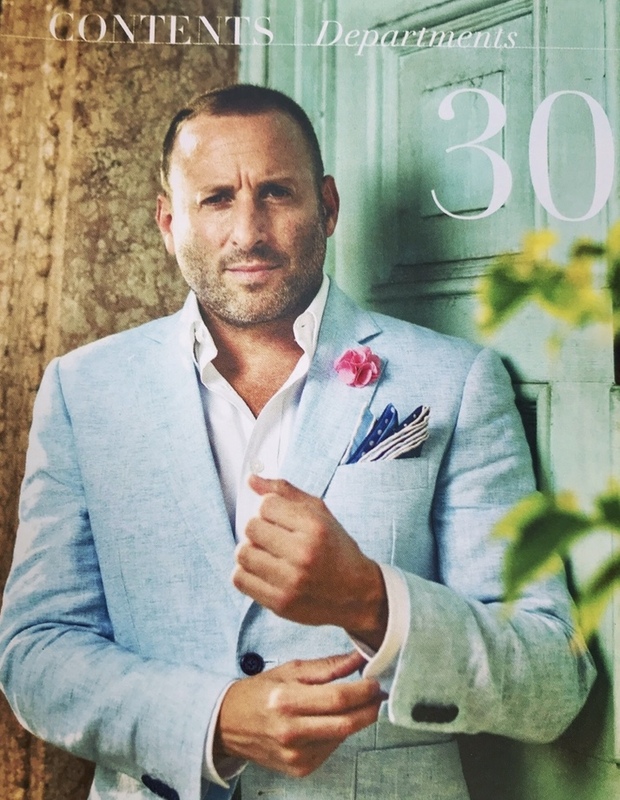 As co-founder of the inaugural World Polo League, Ganzi is impressed with the parity of the teams. "Look at Alegria, they took down the champs," Ganzi said. "On any given day, any team can win in this league. We didn't win a game last tournament and neither did Alegria, and now we both come out with a win. It shows the depth of the league. Pablo MacDonough of Audi hits the neck shot as his mallet wraps around. "There's a lot of different levels to think about where we are having success and where there is room for improvement," Ganzi said. "Fundamentally, the quality of the polo is really high. The games are being played on an average of 83 minutes, 12 fouls per game, the speed is good, it's flowing, it's open. I think everyone is satisfied with the brand of the polo. We have shown people that this is the style of polo that can continue to flourish. 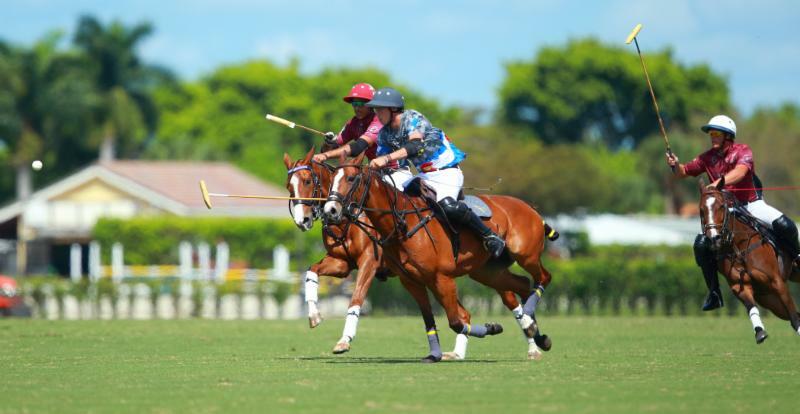 We are attracting new sponsors and showing people really what's good about polo." Like other WPL players, Roldan is enjoying playing in the new league. "We love it," Roldan said. "It was a lot of fun. We ran, it was a wide open game. Even the horses loved it. The format is great. The WPL is a great idea. The fields have been great. They are all competitive teams and any team can win." Juan Martin Zubia of Colorado tries to weave his way through a crowd. Colorado snapped its two-game losing streak and curse of the new team jerseys with its win over Flexjet. British player Kian Hall replaced Rob Jornayvaz who left the game at 2:08 of the first chukker with a lower back injury. 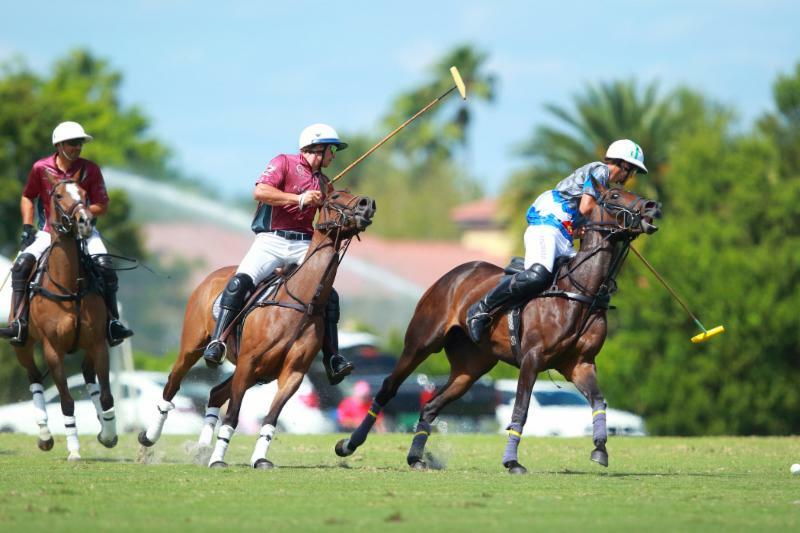 The game was defensive in the first half with Colorado and Flexjet playing a scoreless opening chukker. Colorado shut out Flexjet, 2-0, in the second chukker and Flexjet scored its first goal in the third chukker to trail 2-1 at the half. 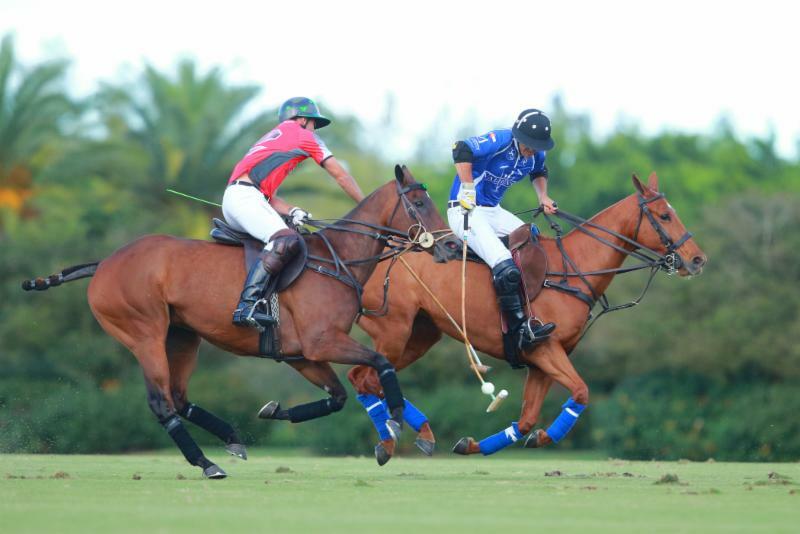 Alfredo Bigatti of Flexjet tries to steal the ball from Juan Martin Zubia of Colorado. The second half picked up in momentum with Colorado outscoring Flexjet, 6-5. Ganzi rallied her team in the sixth chukker scoring the tying goal, 6-6, with 4:10 left but Hall and Zubia scored back-to-back goals to put the game away. "I think it was only three goals in the first half," Diego Cavanagh said. 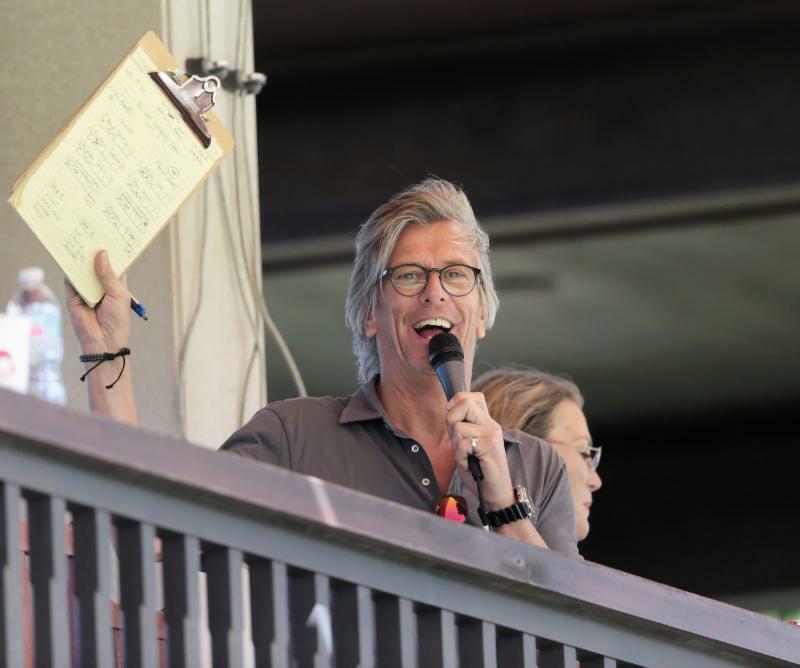 "I think we scored three or four goals in the fourth chukker so in one chukker we scored more than we did in the first half. Alfredo Bigatti of Flexjet reaches to hook Kian Hall of Colorado. "Today it took us a while to get some rhythm and then Rob had to sit down. Hopefully, he is back for the next game. Kian came in and played well. He knows how to play the game. It took us three chukkers but then it was fine." Diego Cavanagh scored a game-high four goals for Colorado. Juan Martin Zubia had two and Jero del Carril and Kian Hall each had one goal. For Flexjet, Ganzi, Novillo Astrada and Spinacci each had two goals. Alfredo Bigatti of Flexjet gets wrapped up with his hook shot. After a rest day, another doubleheader is scheduled for Saturday. At 11 a.m., Audi plays Flexjet at Jan Pamela Field 3 and 4 p.m. Founders Cup Grand Champions faces Black Watch at Valiente Field 1. 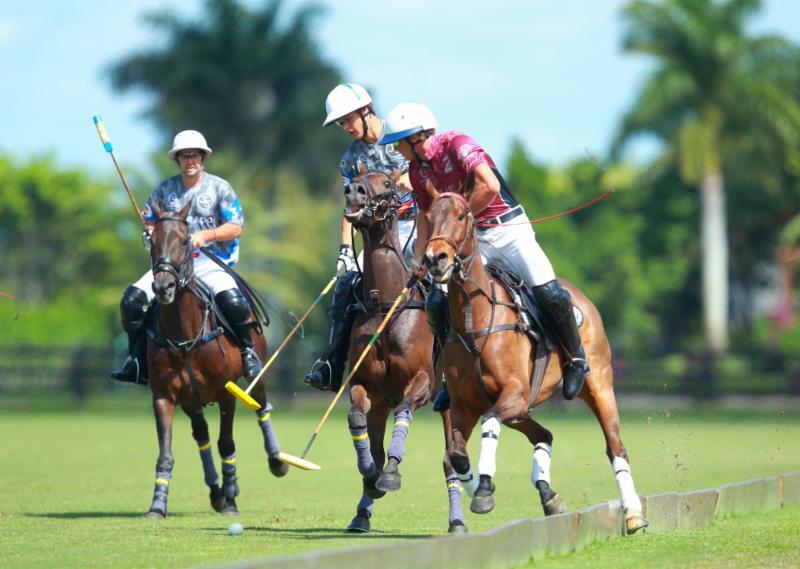 The WPL is being live streamed on ESPN Deportes and ChukkerTV/Horseplay with Gus Whitelaw calling the action. For more information go to www.worldpolo.org. 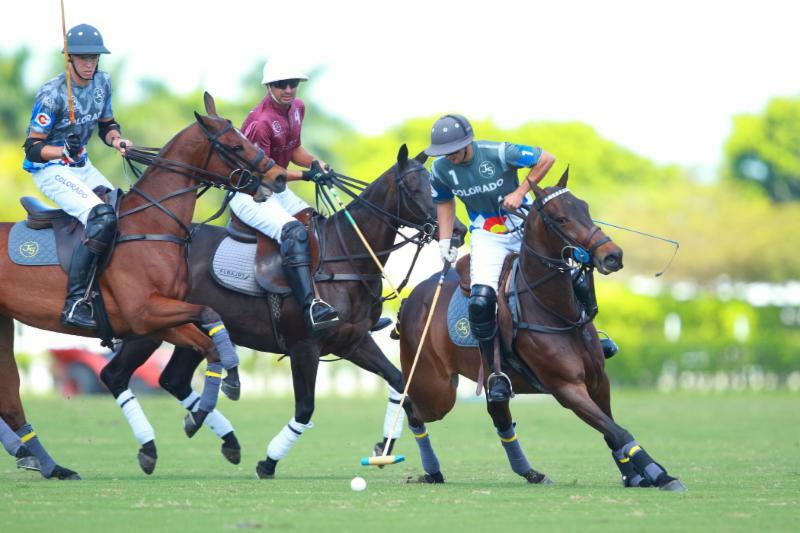 Juan Martin Zubia of Colorado works the nearside shot as Flexjet teammates Alfredo Bigatti and Pablo Spinacci defend. Substitute player Kian Hall of Colorado chases down Pablo Spinacci of Flexjet. 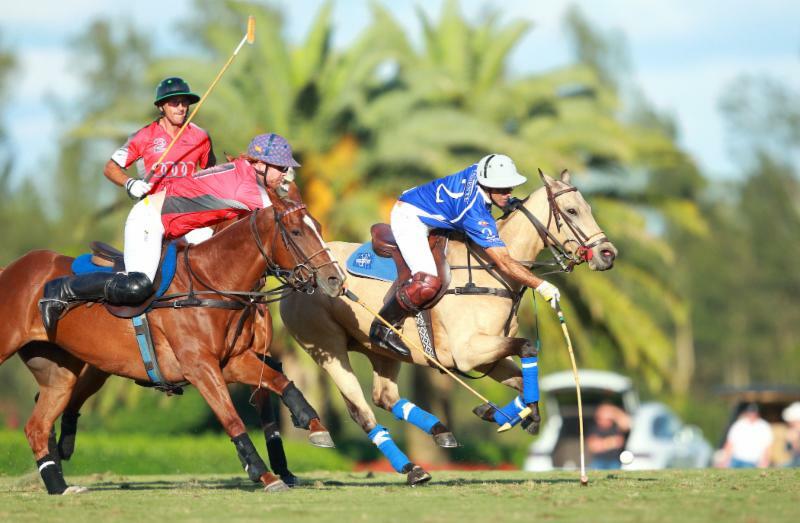 The WPL, with 14 tournament-quality fields to play on, includes the All-Star Challenge Draw Tournament, Founders Cup, Palm Beach Open and Triple Crown of Polo. 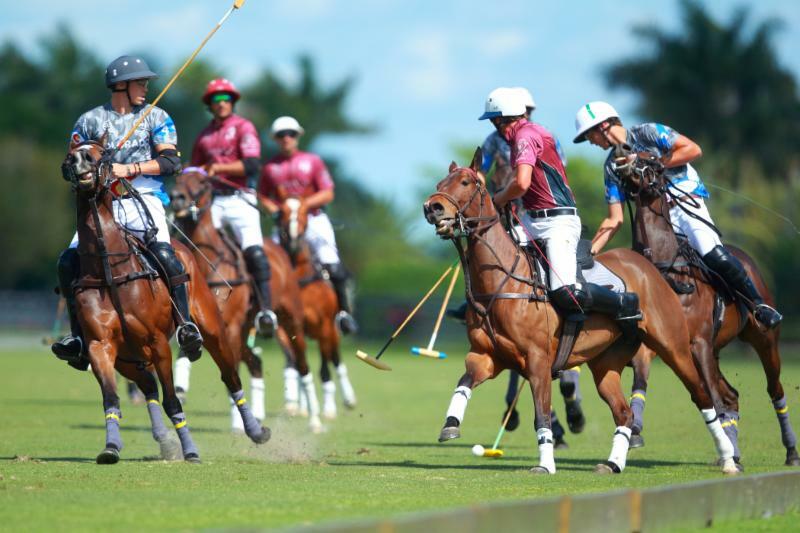 The World Polo League is open to other teams that wish to compete in one or more of the tournaments. Games are offered on the flat (Open) and on Handicap. Kian Hall of Colorado works the ball past teammate Jero del Carril and Pablo Spinacci of Flexjet. The World Polo League has attracted a large international field of players from all corners of the world including Australia, Argentina, Brazil, Canada, Costa Rica, Nigeria, Uruguay and U.S.
Jero del Carril of Colorado attempts to hit the ball in flight with Alejandro Novillo Astrada of Flexjet defending. 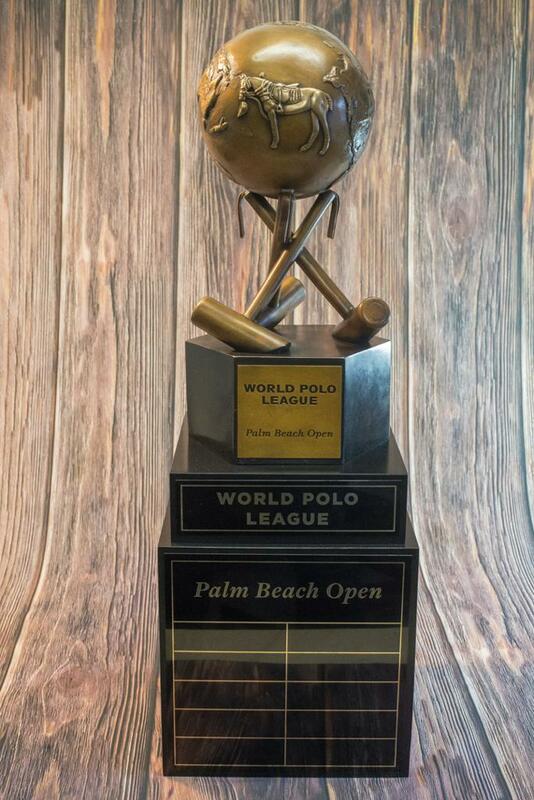 In addition to the World Polo League, season highlights for 2019 at Grand Champions are the Sterling Cup, $50,000 National 12-Goal Tournament, John T. Oxley Memorial and $100,000 World Cup Tournament, a unique 0-40-goal, winner-take-all single-elimination tournament and WCT Final.